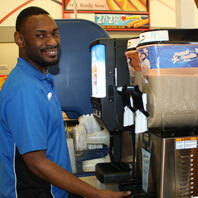 Speedway Manager Marcos raves about the positivity that Demetrius brings to his job as a customer service attendant. 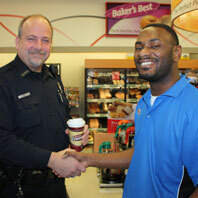 Demetrius is popular with many of the customers. 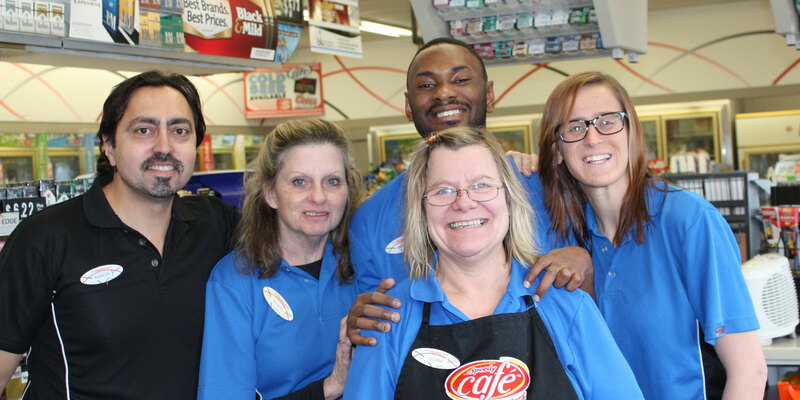 He often sees old teachers, friends, and classmates at Speedway, chatting with them while he stocks supplies around the food and coffee areas and ensures a clean workplace. His fun, active personality is evident in their smiling faces. 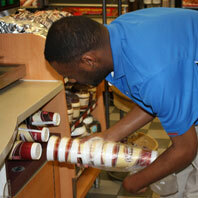 Demetrius’ journey began with Goodwill’s Work Services Program. In August 2014, he started his work experience, which is supported by Wisconsin Division of Vocational Rehabilitation (DVR), at Speedway and was hired as an employee in November. Also during that time he has participated on the Special Olympic basketball and track and field teams. He’s an athlete, hard worker, and brings joy to those around him at his job. Talk about a triple threat!